North Minneapolis students are joining young people from across the country at a march against gun violence in Washington, D.C., Saturday. The group of 20 Minneapolis students was selected by the community organization Northside Achievement Zone. 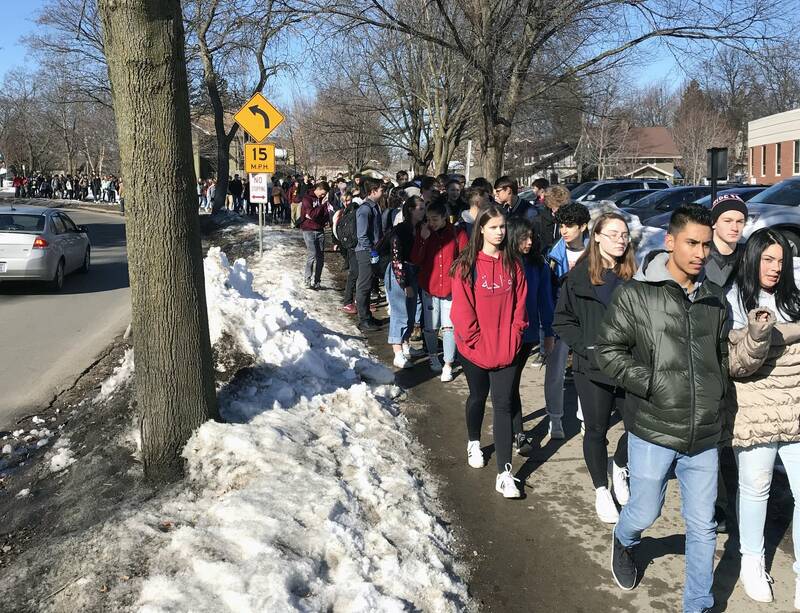 They leave on a bus for Washington, D.C., Wednesday along with a group of students from Henry Sibley High School in Mendota Heights. North High School senior Damon Brown said it's time for legislators to listen to youth and prioritize safety. "With all the recent news and recent stuff that's been going on, you never know what might happen or when it might happen," Brown said. He said regulations around gun sales should be stricter. Andre Broadnax, a junior at FAIR School Downtown in Minneapolis, said he's eager to add his voice to the national conversation about gun violence. "I am a big gun supporter. I do believe everybody should have the right to protect themselves, but not when they're being dangerous and being irresponsible with that right ... The irresponsible people with their guns are making it harder for the honest people who are trying to protect their families," Broadnax said. Organizers of the national march are pushing for gun control measures including a ban on assault weapons and high-capacity magazines. The effort has sparked plans for marches around the country and internationally. "I just want to tell them that enough is enough," added St. Paul Conservatory for Performing Artists junior Keirra Phillips.